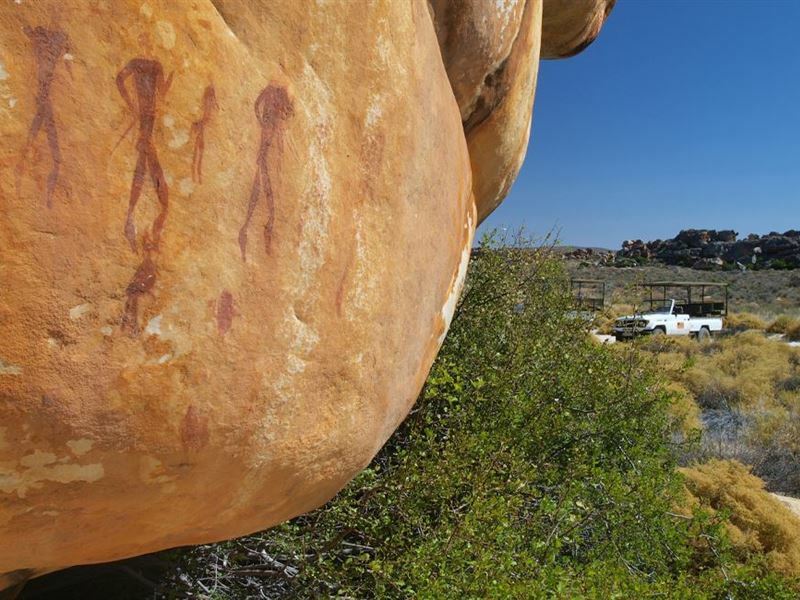 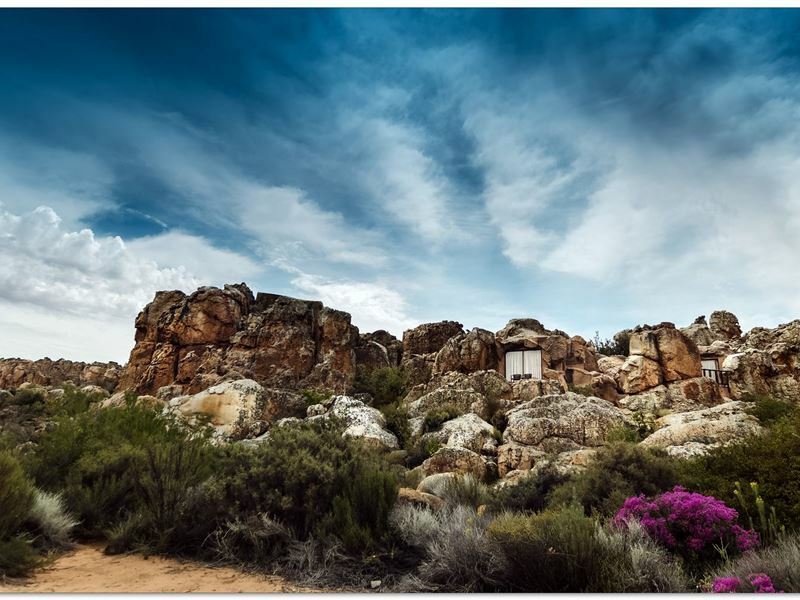 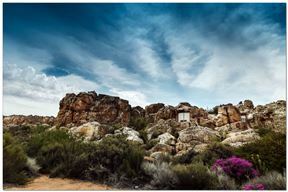 Kagga Kamma Nature Reserve is located in an untouched wilderness of the peaceful Southern Cederberg Mountains, in the Western Cape. 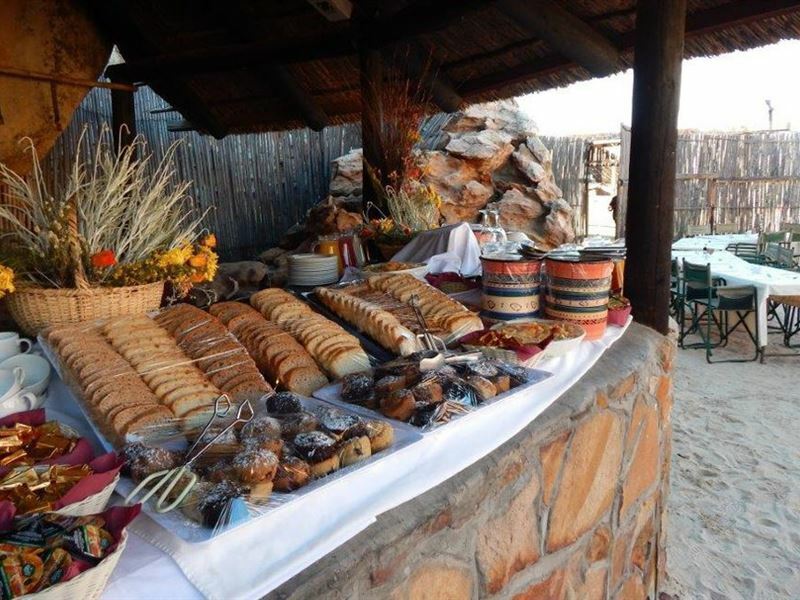 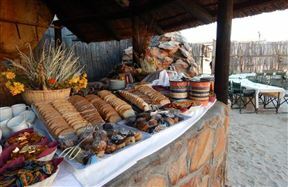 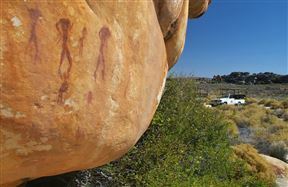 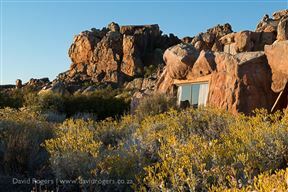 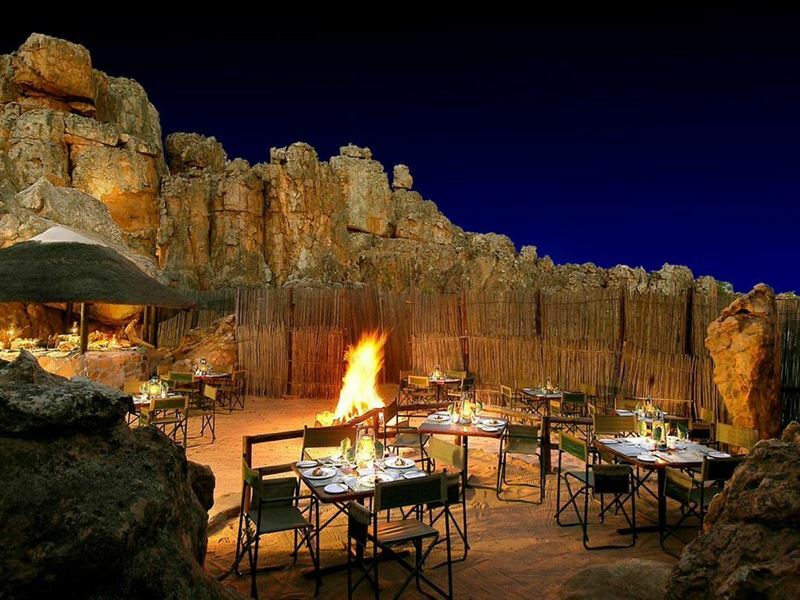 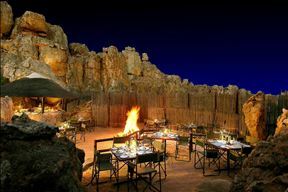 The reserve is renowned for its scenic beauty and dramatic rock formations typical of the Cederberg.The signature accommodation options offer unique ‘cave’ suites, beautifully integrated with the sandstone rock formations, or spacious ‘hut’ suites, resembling the traditional dwellings inhabited by the clans of the area many years ago. 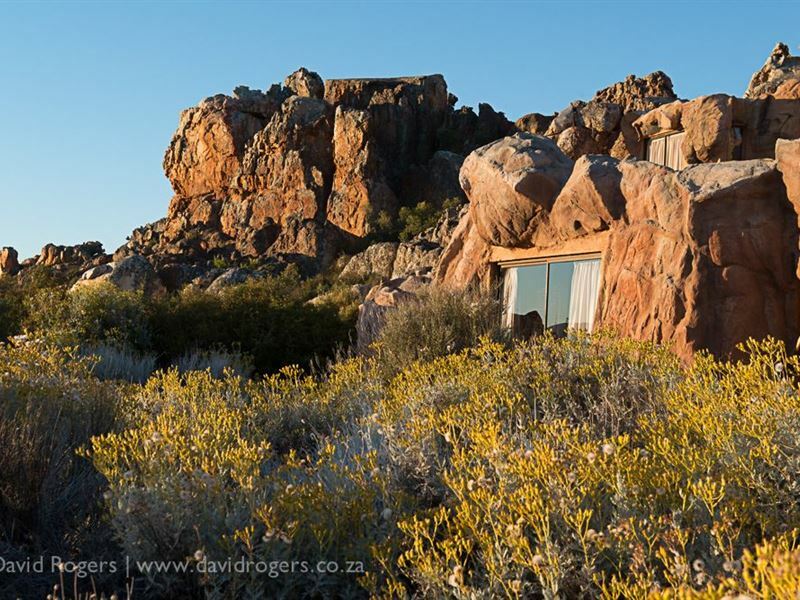 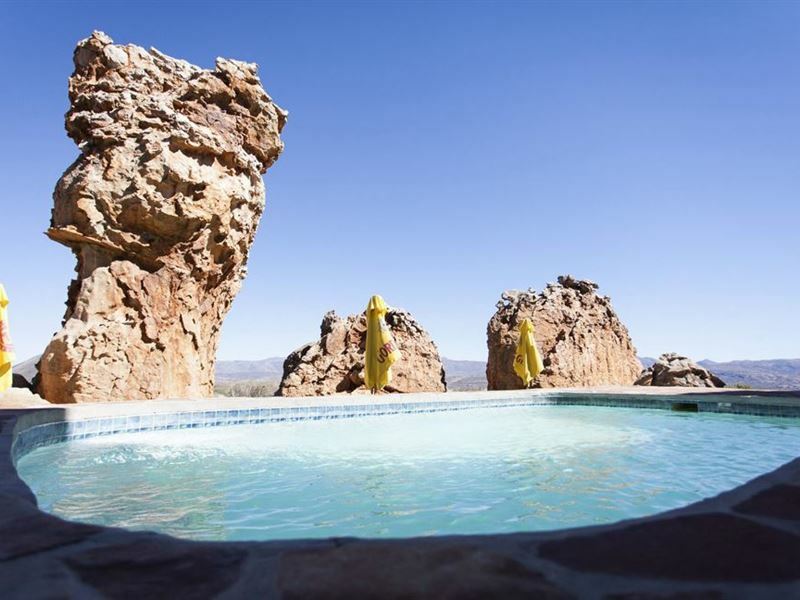 For a truly remarkable experience, the beautiful Outcrop Open-Air Room allows for an entire night under the stars, without compromise on comfort, as you drift off with just the covers between you and the heavens above.Kagga Kamma offers experiences and facilities, scenery, absolute tranquility and accommodation in a true wilderness environment. 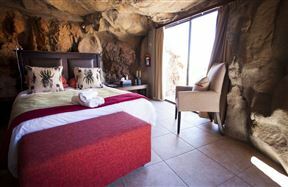 Air-conditioned room with double bed, private terrace & en-suite bathroom. Stair access. 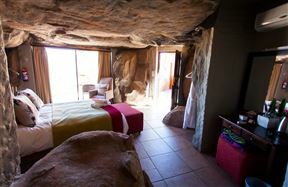 Air-conditioned room with twin or double beds, double sleeper couch(hut 2 - 5 only), private terrace & en-suite bathroom. 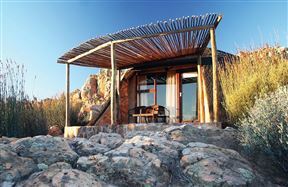 Suitable for families with children. 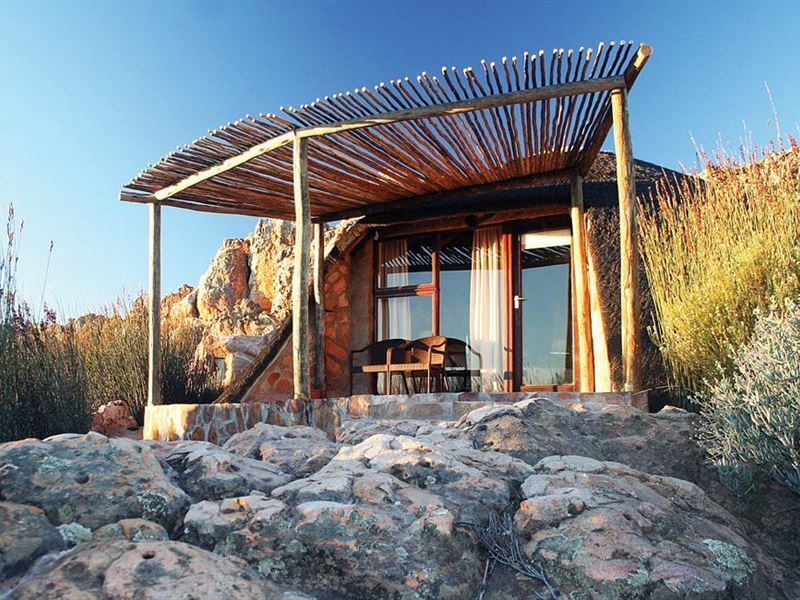 (Thatch roof). 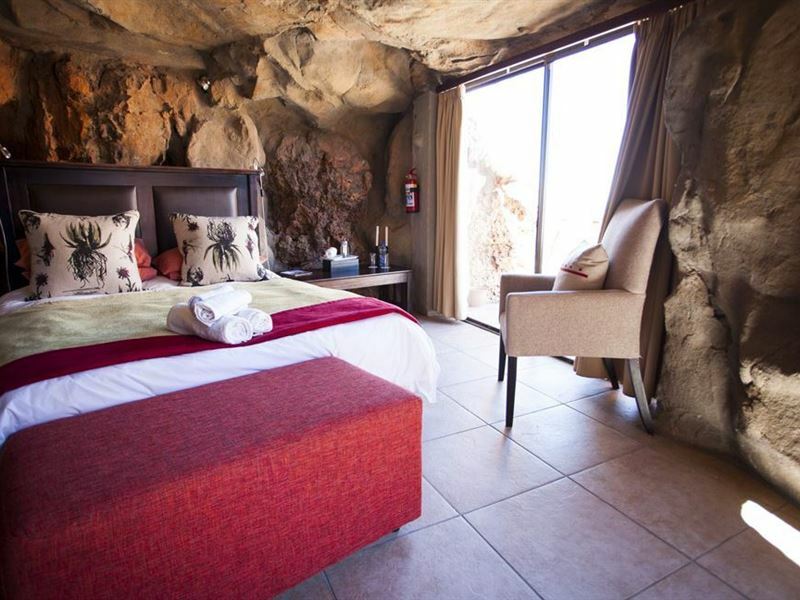 Air-conditioned room with double bed, private terrace with stunning views & open plan bathroom. 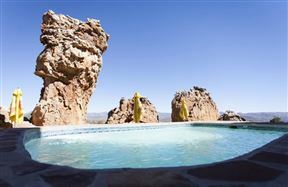 Stair access. 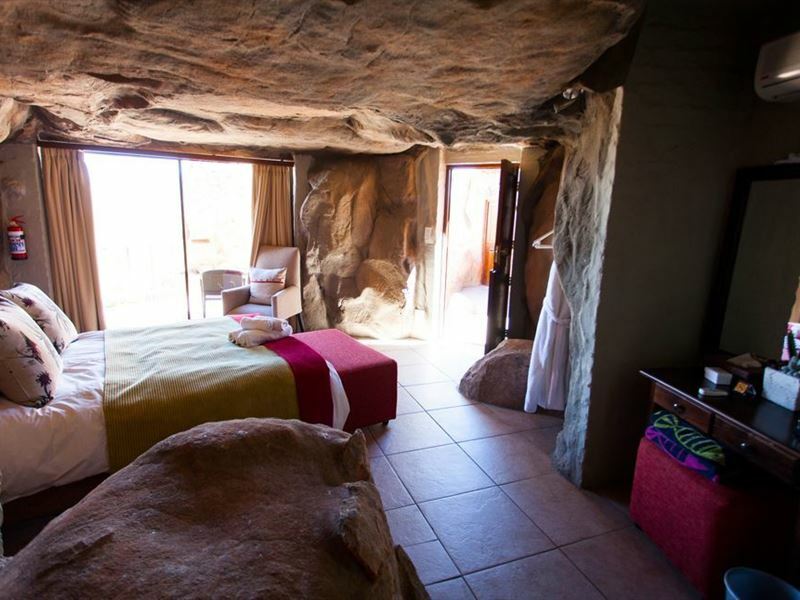 Air-conditioned room with double bed private terrace with breathtaking views & en-suite bathroom. 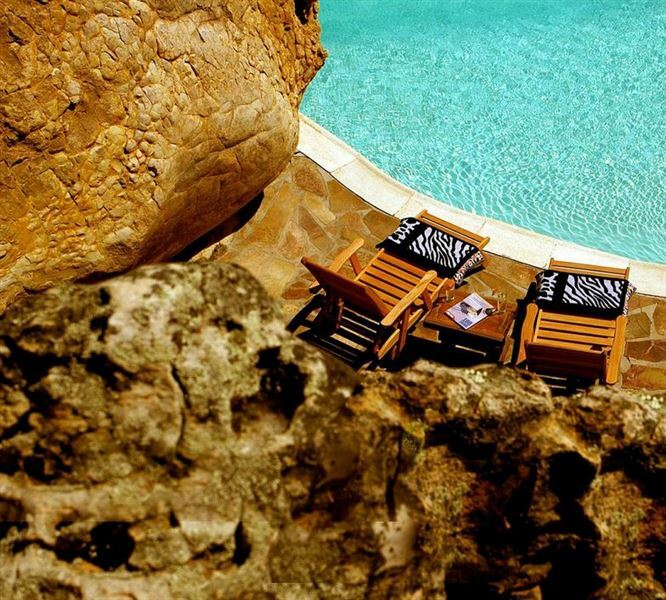 Stair access.